Back in those days i went to friends ill did have a 486 dx2 on 66 mhz with super vga screen. I did copie some games like quake and doom 1 heretic and some other games. Those games was trendy in that time,it was the woaw factor, and still these games are still good in the present day. Ill did copie them for mine own, and not to sell them on sckool. I was running msdos 6.22 with windows 3.1 on it,mine harddrive was top notch for that time whit a awsum space of 40 mb. Mine computer was having 4 mb intern memmory,and running quemm version 7 onit to load dos in the upper memmory area. Its nostalged and old , but i,m thinking of these days quite often, and go back in time with mine memmory,s. It was in that time very expensive, mine whole configuration computer with svga screen did cost 3500,00 guilden. Its about 1700 euro.Olmost all games where running under dos and sometimes on windows 3.1.
if you compare the hardware specs in that days with those new ones in 2015, alot has been chanced sinds 2 decades. And also with the games that where 2d games and still good playable in that time. Are u also a old gamer like me? Wich games did you play 20 years ago? Also got a lot of those CD that came with game magazines that had a bunch of random freeware 1st person shooters on them, most of which I don't remember the name of... though there was a cool one where you're an archeologist and you basically have WW2 style weapons as you look for treasure and fight mummies. Was it not indiana jones? All those games that you post i did play it and it was awsume. Well those old games we can still play it on dosbox. And for doom there was some modificated wad files wich you can play with the Original doom version. Last edited by rjmno1 on Sat May 02, 2015 9:34 pm, edited 2 times in total. EvilGrins wrote: Also got a lot of those CD that came with game magazines that had a bunch of random freeware 1st person shooters on them, most of which I don't remember the name of... though there was a cool one where you're an archeologist and you basically have WW2 style weapons as you look for treasure and fight mummies. http://en.wikipedia.org/wiki/PowerSlave I know it as Exhumed. My family did not have a computer until 1999/2000 and even then we only had old hand me downs. So, despite me not being that old I have used a 1986 IBM pc XT, a 486dx2, a p2 333hmz (that could barely run ut). the up side is that I have played a LOT of cool old games. And those are just the ones that come to mind! rjmno1 wrote: Was it not indiana jones? Or Exhumed for Pal release. I still have all my games from back then. It was Quake that things got really good, FPS SP and mutli with a 14.4 modem. I was playing Quake like waaaaaay too much, and didn't even know about Unreal till like a year after it came out. On a side note, fun to relieve the good old days by the number of mappers over the years that've re-made Doom & Quake maps for ut99... not that I ever played Quake, but still. EvilGrins wrote: On a side note, fun to relieve the good old days by the number of mappers over the years that've re-made Doom & Quake maps for ut99... not that I ever played Quake, but still. Well you can play quake live now more enhanched version of the old game. And ut99 still wins it on the overal rating for me. make a account login download the game and play ofcourse. I had...have an Amiga 1200 with a 41MHz 68040 and an extra 32 MB RAM. Note: ID software never did Amiga versions because they claimed it was not capable. 8 hours after the source was released we had the first working Doom. Most of the following days were spent optimising and improving it. Amiga users ended up with a Doom that did more on less hardware and also took much less drive space. Lots of the original DLLs replicate that already available in the OS. The same things happened with all the following PC ports. They were all optimised and made faster and with a smaller footprint. Oh god, 20 years ago? Maybe Battletoads, Mario, Golden Axe, Tetris, NBA Jam, Donkey Kong, Mario Kart. Some of my fav games for sure! yeah i forgot lemmings also like posted above me. You did got lemmings and ooh no more lemmings as i remember. And i also remember arkanoid a pong like tennis game. And frogger played on a family members atari 2600. I did also played happelaar on the philips videopak, it was a pac-man clone game. 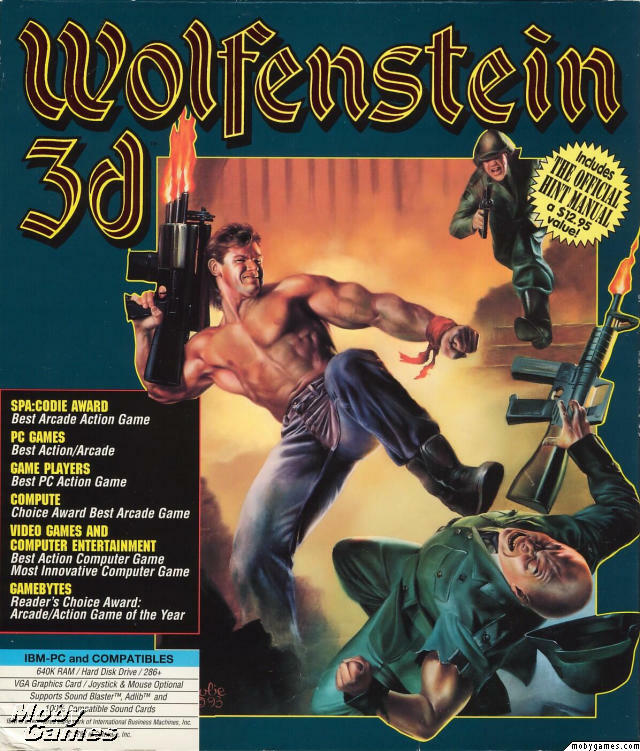 this game i did play on the amiga and the pc version.